Click on an image to purchase publication directly from Northwestern University Press. Also available at book retailers worldwide. Viola Spolin's improvisational techniques changed the very nature and practice of modern theater. The first two editions of Improvisation for the Theater sold more than 100,000 copies and inspired actors, directors, teachers, and writers in theater, television, film. These techniques have also influenced the fields of education, mental health, social work, and psychology. Theater Games for Rehearsal: A Director’s Handbook is a practical application of Viola Spolin’s famous method that guides directors and their companies step-by-step through all phases of the rehearsal period. Spolin shows in easy-to-follow detail how her techniques can be used for a variety of theater situations, ranging from selecting plays or material to be performed, casting, and building a harmonious company to warming up actors, creating stage space, and overcoming opening night jitters. Updated with Spolin's wished-for changes and a new foreword by Rob Reiner. Theater Games for the Lone Actor offers theater games and side coaching for the solo player. This handbook presents more than forty exercises that allow actors to side coach themselves at home, in rehearsal, or in performance. 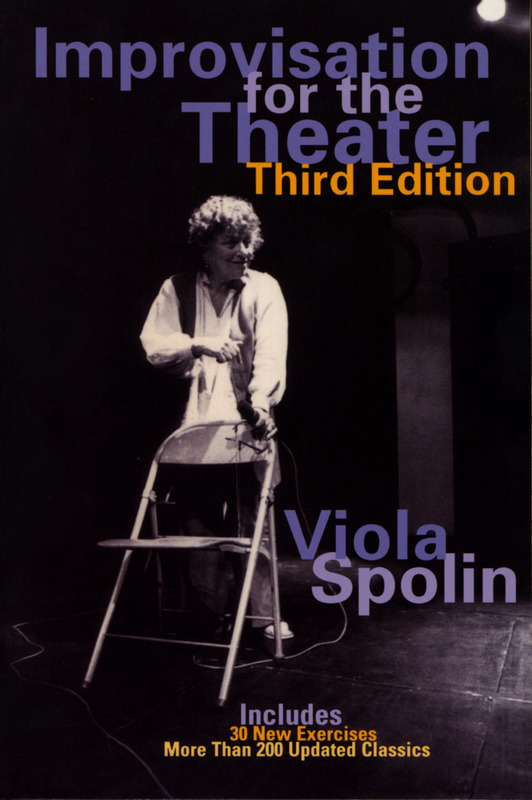 This best-selling book by Viola Spolin offers the most comprehensive theater instruction for all types of students, from small children to young adults. It includes over 130 theater games, plus exercises and instructional strategies. First developed by Spolin, the originator of modern improvisational theater techniques, these games have been tried and tested for over fifty years. Based on the best-selling book by Viola Spolin, this new CD-ROM of Theater Games for the Classroom offers the most comprehensive theater instruction for all types of students, from small children to young adults. It includes over 130 theater games and exercises, instructional strategies, video examples, a lesson planning section, alignment to other curricular areas, and alignment to California Theatre Arts standards. First developed by Spolin, the originator of modern improvisational theater techniques, these games have been tried and tested for over fifty years. In the Theater Game File, Spolin creates a special selection of theater games, presented on separate cards in a convenient file box as self-contained classroom workshops. With the Theater Game File, teachers and students alike, with no prior training or theater experience, can play theater games in the classroom with benefit to all.